World Coffee Research and PROMECAFE have funded the variety assessment/ improvement project. This involves approximately twenty five (25) coffee varieties being cultivated in Jamaica, as well as all coffee producing countries for assessment of adaptability, disease resistance and cup characteristics. To date, there are variety trials being carried out on two farms, one in the Blue Mountain region and the other in the Jamaica High Mountain region. JACRA also carried out monitoring of warehouses to do inventory checks, especially now as the 30 percent local coffee requirement is a necessity. Its officers also monitor wet mills in order to ensure their proper function, thus ensuring that bean quality is not negatively impacted. The nursery policy which seeks to guide the way nurseries operate in order to adequately regulate and monitor the varieties which are cultivated is in an advance stage of preparation and will be submitted shortly to the board of directors for discussion and ratification. A farm registration project is in progress to ensure that there is a strong database in place for to provide for the sustainable development of the coffee industry through expansion of acreage, better understanding of the demography, financing, insurance against wind, rainfall and fire. 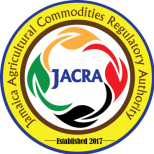 This registration project is being supported by the International Finance Corporation (IFC) and the Jamaica Coffee Exporters Association (JCEA). The Regulatory Body monitored the quality of the roasted coffee on the local shelves a maximum of four (4) times per year. This coffee is not taken to the Regulatory Facilities for quality assessment prior to being offered for sale. However, all roasters are advised on the quality of beans to be used in the various roasted or value-added coffee products. As sole exporter of Jamaican coffee, JACRA has followed a strict policy of adhering to food safety regulations, both locally and internationally. In this regard, we have contracted the Chemistry Department at University of the West Indies (UWI) Mona to provide support in the analysis of pesticide residues in green coffee bean for export. This assessment enables all stakeholders to have an understanding of status of all shipment of coffee with regards to the minimum residue levels (MRL) before that coffee is actually exported. Given the adherence to good agricultural practices established by the Advisory Department and, hence, the subsequent low levels of pesticides being found in tested green beans, a decision was agreed upon by the testing body and the regulatory body for one in every three shipments for each entity to be submitted for testing at the UWI. We are currently undergoing studies for the possible establishment of a coffee training institute, which would encompass the certification of the cup testing panel of the regulatory cup testers, who would then lead the way as certified trainers for the industry stakeholders, including coffee shop personnel, coffee makers in hotels, restaurants etc.